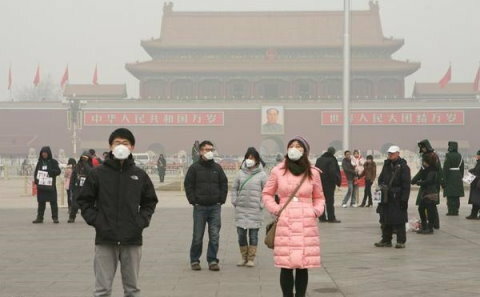 chinadialogue (CD): How strong would you say the air pollution plan is, as a national policy? First, it doesn’t recognise how serious the issue is. Ministry of Environmental Protection data shows that air quality is up to standard in less than 10% of Chinese cities, and things are particularly bad in the Beijing, Tianjin and Hebei area; and the Yangtze delta. This affects the people’s health, and holds back investment. Second, it doesn’t deal with the major problems – it goes into great depth on many specific measures, but still doesn’t do enough to cut coal use or improve fuel quality. Third, there’s not enough confidence. China has plenty of experience of successful action at the national level, and we have the ability to add 50 billion cubic metres of natural gas, 20GW of hydropower, and 18GW of wind power in a year. Bringing smog under control will require improving the energy structure, and we need to be confident in our ability to do that. CD: So there are conflicts between the plan’s actual measures? LJ: On one hand it restricts coal consumption; on the other it encourages coal-to-gas production, further strengthening coal’s position. Although it is explicit that coal-to-gas projects must implement “the strictest of environmental protection measures”, that in itself demonstrates that there are environmental problems with coal-to-gas. Coal-to-gas emits more than twice as much carbon as natural gas. And once you choose an energy technology it then becomes locked in for decades, not just a few years. CD: Is the coal-reliant energy sector the root cause of air pollution problems? Li: Twenty years ago China consumed one billion tonnes of coal a year and that seemed too much. Now we get through four billion tonnes and we want to use more. If we don’t do something now it’ll be even harder in ten years – we’ll be consuming more coal and be faced with more problems. For years there’s been a fixed way of thinking about this: “we’ve got to use coal, it’s all we’ve got.” Aside from China there are no more than ten countries where coal accounts for more than half of all energy. If China is excluded, then globally coal accounts for less than 20% of energy production – but here it’s 70%. China accounts for half of global coal use, but this isn’t inevitable. China and the US are of roughly the same size and consume roughly equal amounts of energy, and we have over 100 million less cars – yet the US has much better air quality. There are only two relevant differences: the US has better quality fuel, and the US uses less coal. Our fuel standards allow for 100 times more sulphur in diesel as the equivalent rules in the US. And despite consuming roughly equal amounts of energy the US consumes 600 million tonnes of coal a year, compared to our 4,000 million tonnes, seven times as much. China needs to rethink the coal issue and take more forceful steps. Different development targets will incur different environmental costs. Coal consumption has increased by an average of 200 million tonnes a year over the last decade and if that continues we will be using six billion tonnes annually by 2023 – meaning we will struggle to improve air quality, and it may even worsen. If we opted to grow a little slower and hold coal use steady at four billion tonnes a year it would still be hard to prevent smog – but at least it wouldn’t get any worse. CD: Key regions have released their own policies in response to the plan. How effective do you think those moves will be? LJ: Strong measures are being put in place all over, but they’re getting in each other’s way, or even coming into conflict. Beijing is to continue replacing coal power with natural gas and is to close three big coal-burning power plants – but those plants were built for the Olympics and have the most up to date technology. So why not leave them and instead use that gas to power small furnaces and factories in Hebei, instead of coal? That would result in greater emissions cuts, and would be better for both. If there aren’t fundamental improvements in Hebei then Beijing is going to have smog, even if it replaces all of the 17 million tonnes of coal it uses a year with natural gas. China always talks about joint action, but really everyone’s acting independently. CD: While the plans were being formulated some provinces indicated a willingness to put cuts in coal use before GDP growth, but also said that the first targets suggested by central government were too tough. Were those targets really higher than the provincial governments could achieve? LJ: China still hasn’t really changed the way it grows. Although the president and the premier both talk about making that change, development is still the number one priority. The national GDP growth target is 7.5%, so nobody is going to grow less than that. So overall growth is bound to be over 8%. GDP growth is still king. But, if we’re going to stop smog, then GDP growth in Beijing, Tianjin and Hebei; and in the Yangtze delta, needs to be kept under 5%. China’s most reasonable policy now would be first to do everything possible to increase natural gas supply. That includes more extraction at home and buying in from overseas. And second, expanding renewables. Currently 15% of potential wind power generation is wasted – on one hand we’re trying to prevent smog, on the other we’re wasting clean energy. Coal curbs are actually a political opportunity, to stand up for the people’s interests; and an economic opportunity, to change the way our economy grows and reduce our reliance on resources. Thirty years of expansive growth have left us with accumulated problems: a lack of coordination, imbalances, unsustainability. These can’t be solved in a single stroke, but we do need to set goals. We cannot be equivocal on cutting coal or improving fuel standards – we must be bold and decisive and leave no blind spots. We must be confident that China has the ability to do better. Put it simple: the solution proposed by the author to air pollution is reducing coal consumption. Nice topic! Not related much to the content but very catchy!